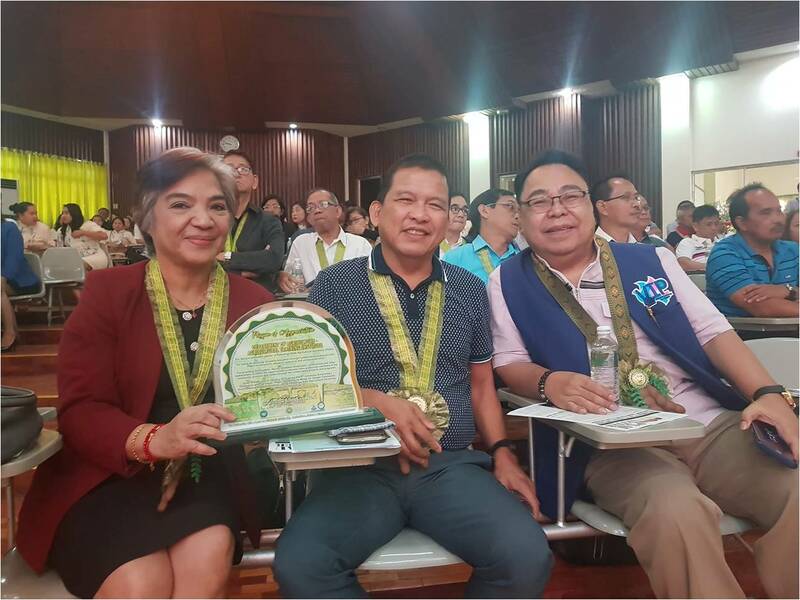 MAGALANG, PAMPANGA -- The Pampanga State Agricultural University (PSAU) recognized Agricultural Training Institute (ATI) for its contribution in providing excellent extension services to the community on January 28, 2019 during the PSAU’s 4th Anniversary Celebration. PSAU granted two (2) plaques of recognition, for ATI-Central Office (ATI-CO) and ATI-RTC III, represented by Ms. Veronica Concepcion V. Esguerra, ATI-RTC III Center Director, and Mr. Mario A. Lapitan, Assistant Center Director, respectively, during the said event. “The PSAU family cannot give the verbatim details of your contribution but we perfectly know that your contribution is way beyond your call of duty because you believed in us and continue to do so,” quipped PSAU President, Dr. Honorio Soriano, to ATI. PSAU has been an active partner of ATI in providing extension services to farmers in Pampanga. Both agencies are currently partners in implementing the 3-year convergence project, which was launched last year, dubbed as “PAGKAING SAPAT PARA SA LAHAT”: Modernizing, Upscaling and Establishment of Science and Technology Based Integrated Farm for Farmers of PSAU’s Adopt Barangay Extension Modality. Moreover, PSAU, in partnership with ATI-RTC III, conducted three (3) trainings in 2018: (1) Character Organization (CORE) for Farmers: Leadership Training on Integrated Human and Organization Development for Community Leaders; (2) Training on Native Chicken Production and Goat Production; and (3) Training on Values Formation, Organizational Management, Swine Production, Value Adding, and Marketing for Ingenious Farmers of Inararo, Porac, Pampanga.